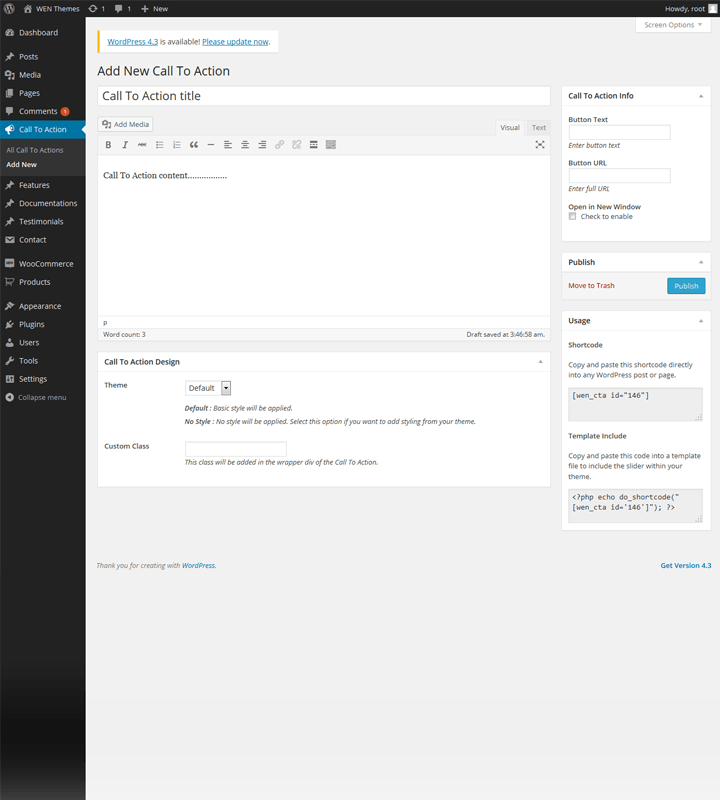 WEN Call To Action creates call to action for your WordPress site. This plugin gives you markup for Call To Action with simple styling. You can easily customize by adding custom class. Extension of CTA depends on your imagination.